You are here: Home / Green Living / Baby Steps / Do These Simple Things to Reduce Your Carbon Footprint! Do These Simple Things to Reduce Your Carbon Footprint! 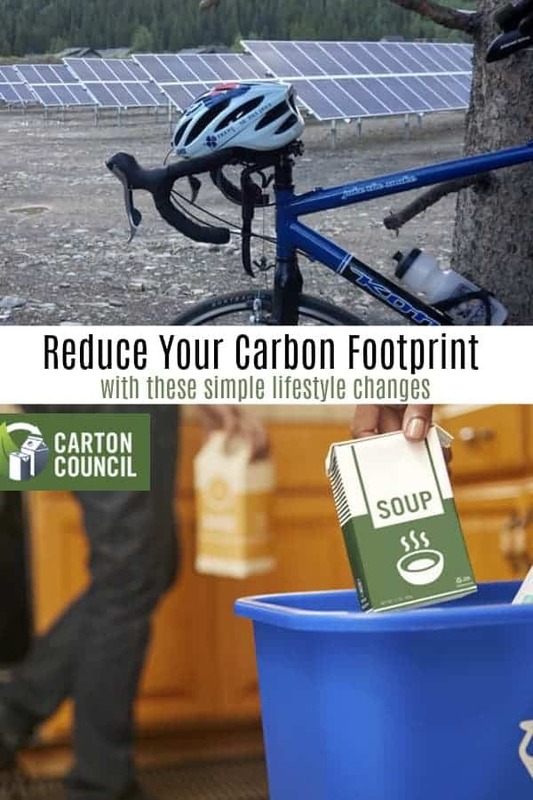 This discussion about simple things to reduce your carbon footprint was sponsored by Carton Council as part of an Ambassador Activation for Influence Central. All opinions expressed in my post are my own. If you have been following my blog for a while, you probably already know that living a green life is important to me. While I am not sewing my own clothes or growing my own soybeans, I have found simple ways to reduce my carbon footprint and tread lightly on this earth. When I was asked to share a recycling message from the Carton Council, I knew it was a perfect fit! Keep reading to learn more about carton recycling, as well as other ways to reduce your carbon footprint. What is the Carton Council? The Carton Council of North America is made up of several leading carton manufacturers. What types of cartons? You know those boxes of soup or shelf stable milks you find in the grocery store? The Carton Council manufacturers make those! TONS of food can be found in cartons. Things like soups, broths, beans, coconut and other waters. Even wine, tomatoes, milk, creamer and juice packaging is made of carton. Food and beverage cartons are environmentally friendly and should be recycled! Have you ever looked at the side of those cartons and seen where it says ‘recyclable where facilities exist’? Well, the Carton Council is committed to building a sustainable infrastructure for carton recycling nationwide. Their goal is to prevent those cartons from ending up in landfills. Why is food packed in Cartons? With an average of 93% product and only 7% packaging, cartons use the least amount of materials possible. This helps preserve our Earth’s precious resources while keeping the food you need to eat FRESH. Cartons are lightweight and compact, with a low carbon footprint. Looking for simple things to reduce your carbon footprint? Consider buying your food in cartons! Yes, cartons are and should be recycled! However, not everyone in the US has curbside recycling. Curbside carton recycling is available to more than 62% of U.S. households in over 13,370 communities. What happens to cartons after they are recycled? They go on to become other paper products or chemical free, environmentally friendly building materials. Follow the Carton Council on Facebook, Instagram and Twitter for more information. Then, check out the Carton Council video below! While growing your own food and walking to work are excellent green choices, they aren’t always practical. Here are a few simple things to reduce your carbon footprint that are easy for your average suburbanite to accomplish. Recycle everything you can! Think beyond glass, plastic and aluminum. Look into recycling cardboard, used building materials, food waste, and anything else you would normally throw away. Especially those food cartons! Check out my tips for recycling household clutter to get you started. Rethink your grocery shopping. Buy organic and local whenever you can. Look into local farmers markets to support the local food industry. Get rid of disposables. Stick to reusable plates, silverware, straws, and napkins. Eat less meat. Join the meatless Monday trend and look into some great vegetarian meals. Make every dollar you spend count! Make sure you are buying things you truly need. Install energy efficient lighting. Ditch the traditional incandescent bulbs and replace them with energy efficient LEDs. Get your heating and cooling systems checked. Replace filters and repair as needed. Install a programmable thermostat. This saves on heating and cooling when you are asleep or away from home. Look for the Energy Star Rating. When replacing appliances, look for energy efficient models that use less electricity or reduced water usage. Don’t waste money on heating and cooling. Seal off drafts to keep your home a comfortable temperature and save you money. Unplug electronics that are not in use. Even when plugged in, many appliances are using energy even if you aren’t actively using them. Consider greener energy choices. Solar energy is a possibility in some areas of the country. Do some research to see if it is the right choice for your home. Consider eco friendly home renovations. 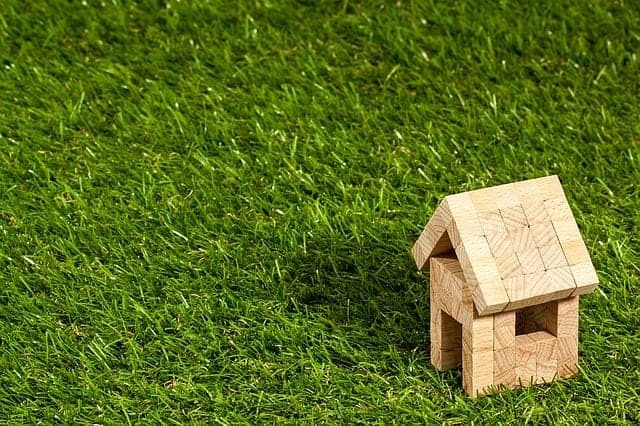 Large projects like installing better windows and more insulation can save you large amounts of money and reduce your carbon footprint over a longer period of time. I have found that simple things to reduce your carbon footprint also tend to save you money. 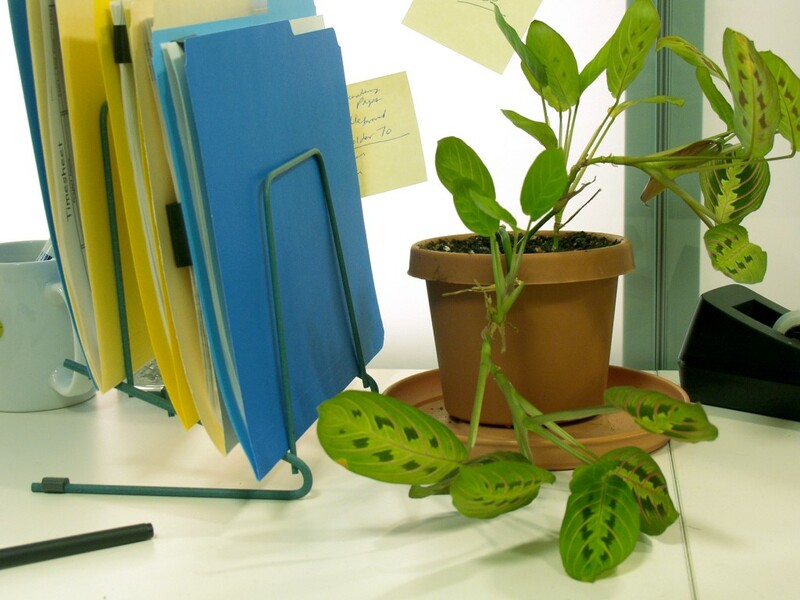 Green living tips for the home, especially, are very budget friendly. If you can cut water usage and reduce your energy needs, you will save quite a bit of money. Install solar lighting outside your home. Spotlights and driveway lights make your home safer and more attractive but they do use a fair amount of energy. 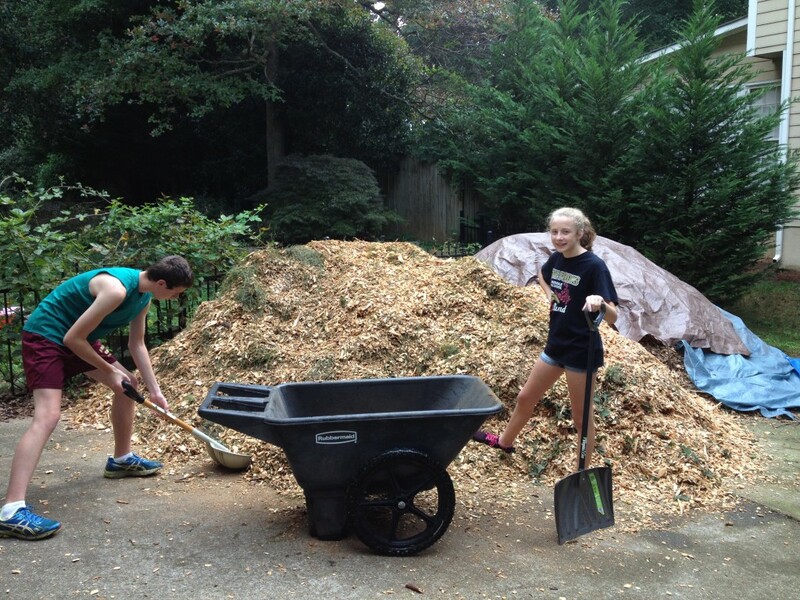 Use natural mulch in landscaping. Mulch trees, shrubs and garden beds to reduce the amount of water they use to stay healthy. Consider your outdoor cooking area. Propane may not be the most environmentally friendly cooking method. Also, choosing sustainably raised meats, organic foods, and locally sourced products will help you reduce your carbon footprint at your next cookout. Rethink your watering. Water your plants first thing in the morning so that the water is absorbed into the soil rather than evaporating under the sun’s heat. Plant native grasses and shrubs, add stone walkways and consider other ways to reduce the water needs of your yard. Go natural in the yard! Skip the artificial pesticides and fertilizers and go with organic and natural choices instead. Rethink material choices. Choose recycled or reclaimed materials for outdoor storage areas, patio seating, children’s toys, etc. If you work out of the home, look into carpooling! You will save yourself a significant amount of time, money and hassle while you reduce your carbon footprint. Reduce your paper usage. Print on both sides of the paper, print only when necessary, use recycled paper, and recycle all paper that needs to be discarded. If you work out of the home, brown bag your lunch. Eating out at restaurants is not only expensive and usually unhealthy but it has a very large carbon footprint. Cut down on energy usage. Turn off lights that are not in use, unplug printers and shut down computers at the end of the day, open windows when the weather is nice and replace old electronics with newer, energy efficient models. Make sure you investigate electronics recycling for your old electronics. Recycle ink cartridges. Most local office supply places offer this service and many even pay you a few dollars to do it! Reducing your carbon footprint doesn’t have to mean a lot of major changes in your life. Every small change you make in your life can add up to a major drop in your carbon footprint over the course of an entire year. Now is the perfect time to get started! How will YOU reduce your carbon footprint this year?